Expecting a new addition to your family soon? A little bundle of joy? If you are expecting a baby make sure you educate yourself about oral health practices for you and your newborn baby. If you remain healthy throughout your pregnancy your baby will remain healthy in the womb and when he or she arrives. Oral health is imperative for all of us and if you are bringing a new baby into the world it is even more important to keep up with routine dental visits. Our team at Affinity Dental wants to make sure that you have healthy teeth and gums so that you can protect your child from any future complications that can result from dental problems. Some dental procedures are dangerous for soon-to-be mothers such as laser dentistry, x-rays, anesthetic methods and more. 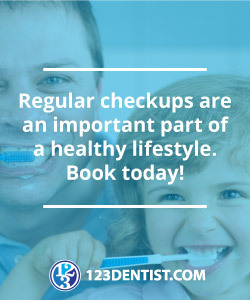 It is also important to take care of your oral health from the very beginning and book a dental appointment with Affinity Dental before you get pregnant. It’s a beautiful life-altering experience to be pregnant and prenatal dental visits are extremely important with regards to the health and development of the baby. It has been known that by taking care of your teeth while pregnant you can reduce the risks of low birth weight in a newborn baby. You can avoid developing bacteria within the mouth and tooth decay by booking a consultation with Affinity Dental. In the past, studies have shown that women during the reproductive age are at a higher risk of gum or periodontal disease. Prematurity has also been linked to periodontal and gum disease because oral bacteria can spread to the uterus which can cause inflammation. Inflammation can then cause the baby to be born at a low birth weight or earlier than the due date. You can reduce the risk by taking care of your teeth at home by flossing, brushing and rinsing with mouth wash, but regular dental visits are necessary. We at Affinity Dental want to encourage all soon-to-be mom’s to get in touch with us so we can develop a specialized dental care treatment plan for you and your new arrival. Contact us today and let’s get you and your baby on the road to optimal oral health!